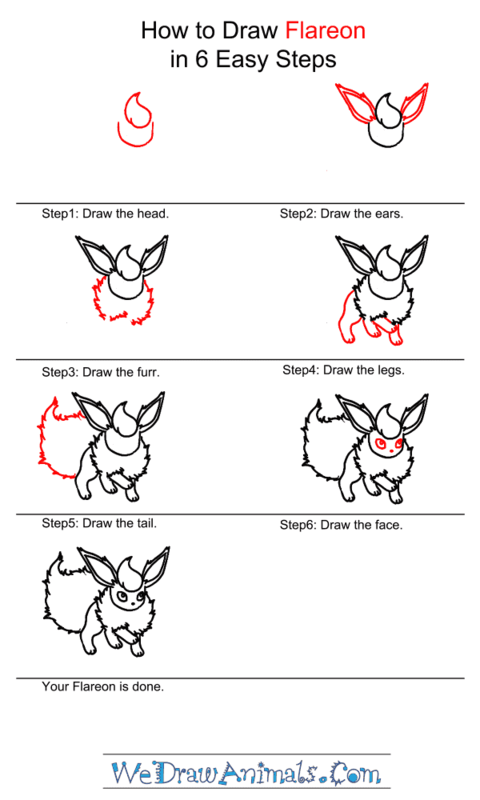 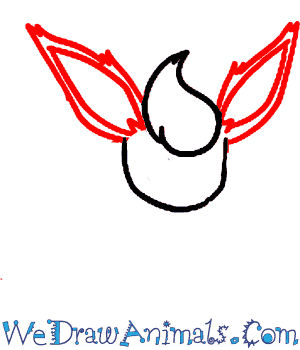 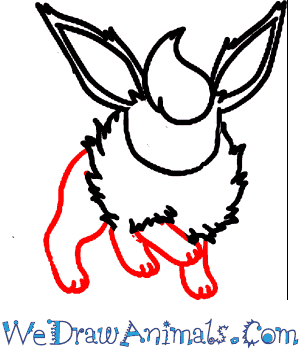 In this quick tutorial you'll learn how to draw Flareon in 6 easy steps - great for kids and novice artists. 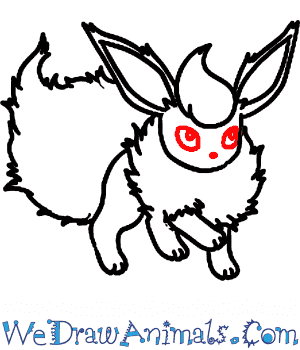 At the bottom you can read some interesting facts about the Flareon. 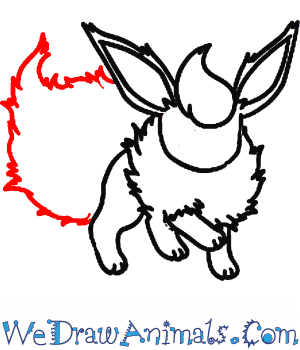 Flareon is the fire variety of the evolved Eevee with a flame-like design in its mane, tail and head-piece. 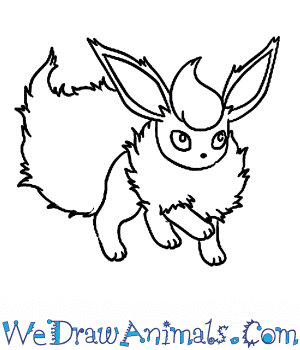 Its build and design is very similar to its cousins Jolteon and Vaporeon and has the same tendencies, such as a feisty attitude and aggression when angered or threatened. 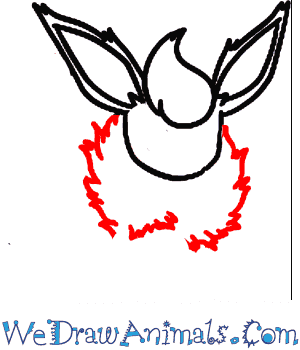 Where Jolteon amplifies electricity through its sharp fur, Flareon functions by heating the air it inhales with a large flame inside its body. 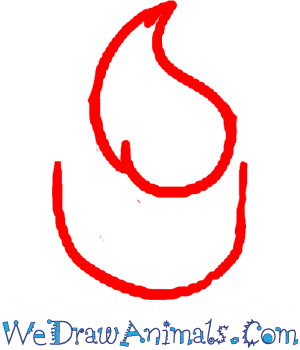 If it feels the challenger is not even worth wasting heat energy on, its incredibly sharp fangs could be the next weapon of choice.